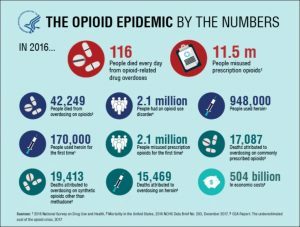 When doctors, hospitals, insurers, and their captive lawmakers howl about how unfair malpractice lawsuits allegedly can be for modern medicine, patients who have suffered harms while seeking medical services should require loved ones, friends, and members of their community to view Bleed Out. This new HBO documentary details the decade-long quest by comedian Steve Burrows and his family for justice for his mother, Judie. She was an energetic, retired teacher when she fell from her bike and needed emergency hip surgery. Before she had recovered, she fell again and needed a second operation. But this time, something went wrong: She lost more than half her blood, fell into a coma, and suffered irreversible brain damage that meant that she would spend the rest of her life in institutional care in rural Wisconsin. Common sense and moderation can matter a ton in maintaining good health, as recent news reports show, particularly with kids and concussions, middle-aged adults and heart disease, and collegiate alcohol abuse. With youngsters returning to school and so many of them participating in sports and recreation programs, it’s good that the federal Centers for Disease Control and Prevention has issued evidence-based guidance on protecting kids who suffer mild traumatic brain injury or what most of us would call concussions. These injuries have become a growing concern for parents and young athletes. Sports leagues and sporting groups are coming to a time of reckoning with just how harmful head trauma can be. Federal regulators may be forced to reconsider their plans to curtail a cost-containing experiment that affects some of the most commonly performed surgeries — knee and hip replacement procedures that hundreds of thousands of seniors undergo annually through their Medicare coverage at a cost to taxpayers of billions of dollars. Under the Affordable Care Act, doctors and hospitals were pushed to adopt a new and different way to think about and to bill for these surgeries, which, by the way, aren’t risk free. 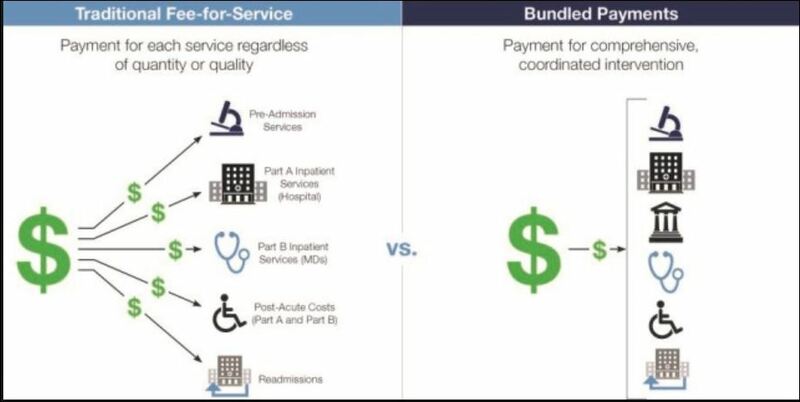 Instead of patients getting flooded with bills from each provider involved — the lab, radiologist, anesthesiologist, surgeon, hospital, and so forth — Obamacare got all the parties together and told them they would get a single, “bundled payment.” Hospitals, typically, then acted as the chief point of contact, getting the providers to figure their fair share, billing patients (once), and collecting reimbursements and distributing them appropriately. 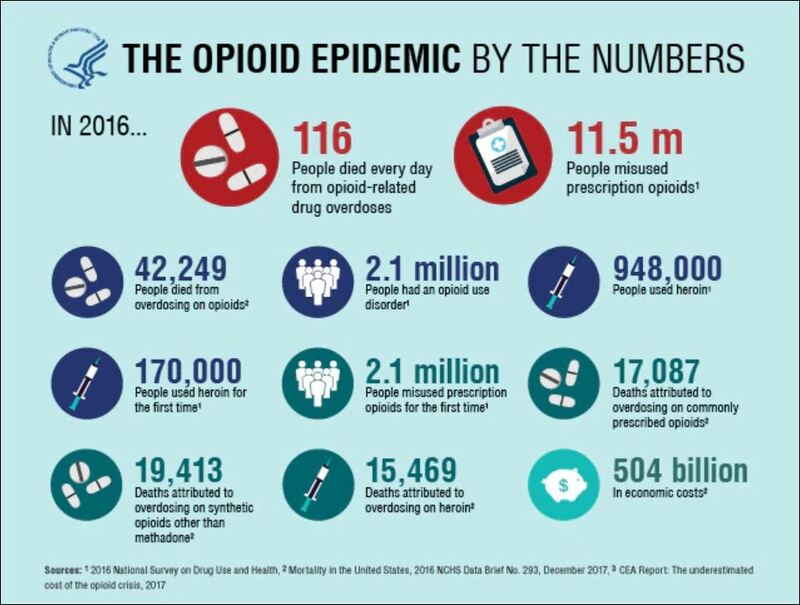 The system seemed to work: costs declined, the quality of care went up, and patients expressed relief that their mailboxes weren’t jammed with a blizzard of the usual incomprehensible medical bills. 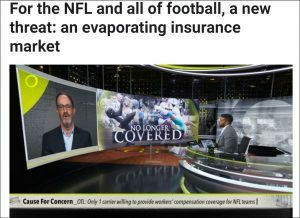 But doctors, hospitals, and insurers kept grumbling. 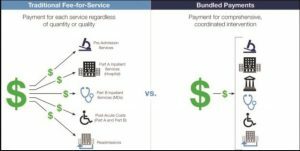 The Trump Administration and Republicans in Congress, as part of their relentless and counter-factual assault on the ACA (more on that in a second), took aim at bundled payments and talked about changing and eliminating this approach. In College Park, Md., new cooling tents have sprouted on the University of Maryland’s football practice field, where the training staff also is taking pains now to provide adequate cold drinks and breaks to players. Observers say the pre-season regimens, however, are not only marked by greater attentiveness to the young athletes’ needs, they’re also eerily quiet and somber. 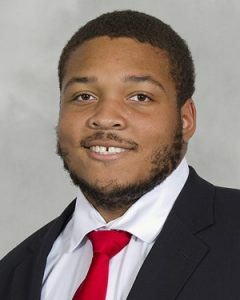 That’s because top Terps leaders have apologized and conceded the school shares blame for the tragic and preventable heat stroke death of Jordan McNair, 19, a Maryland offensive lineman. Coaches forced the young man to run and over-exert himself during a May 29 practice. 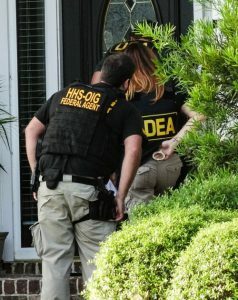 More importantly, they failed to diagnose the severity of his condition, neglecting to so much as take his pulse and blood pressure, and, in a disputed account, not noticing that he was suffering seizures, or acting fast to drop his body temperature with ice and cooling baths. Published reports suggest he showed heatstroke signs before 5 that afternoon, though trainers did not call for emergency help and an ambulance until nearly 6, when his body temperature may have hit 106 degrees. He was admitted to a hospital, where nurses and doctors immersed him in a cooling bath and reduced his temperature to 102 degrees — 90 minutes or so after he apparently got into distress. 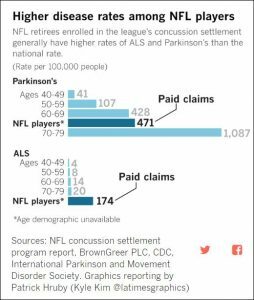 The National Football League, which long has resisted the growing reality that game-related head blows can cause major harms to its players, may be providing yet new and unintended warnings about the sustained damages of concussions. 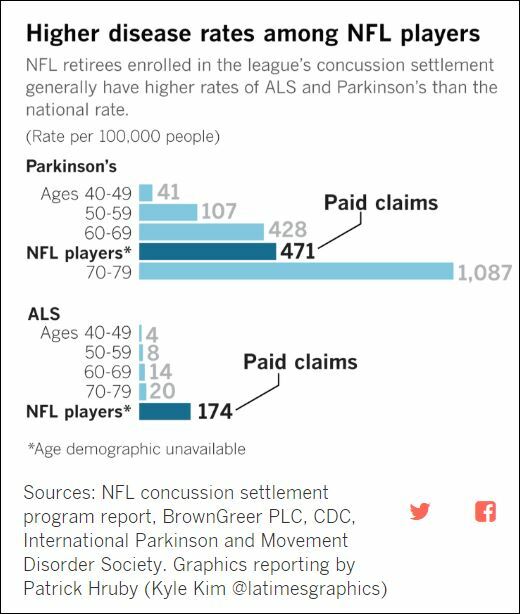 The Los Angeles Times reported that pro football’s pay-outs, as part of its billion-dollar head-injuries settlement with NFL players and their union, have been surprisingly high in cases where retirees have claimed damages due to Parkinson’s and ALS.